This beautifully appointed, traditional hotel completely renovated is located on the shores of the picturesque Lake Bled and a 2 minutes’ walk from the resort centre. From its stylish lounge picture windows, spectacular views of the island, the medieval cliff top castle and the Julian Alps can be enjoyed. The Grand Toplice offers a traditional and pleasant ambience and will delight its guests with its unique style, refined comfort, high standards of service and superb cuisine. For the fairy tale views and unsurpassed lakeside setting the Grand Toplice is hard to beat. 87. Austrian twin rooms have bath and shower, hairdryer, telephone, cable TV, minibar, balcony and air-conditioning. Lake views and single rooms are at a supplement. Rooms without lake views are on the road side and may be subject to some traffic noise, mainly at daytime. Annexes information: panorama restaurant where free tea/coffee is served. We update Grand Hotel Toplice's details often, but facilities do change. e.g. some extras listed by the supplier as "free" or included might only be for the first time you use them, or for one time per party, then charged for further use. If any specific feature is essential to your holiday, make sure you ask us to confirm the details of it before you book your holiday. This accommodation only holiday to Grand Hotel Toplice in Bled, Slovenia departs Wednesday 22nd May 2019, for a 3 night stay on a "half board" board basis. A local tourist tax (Taxe de Sejour or Kurtaxe) is levied by many councils in European resorts. It varies by standard and type of accommodation and is age dependent, so not everyone is charged. It's not included in the basic price of your holiday and is usually paid locally. For reference, the average charged in winter 15/16 was between 50p and £2 per person, per night. 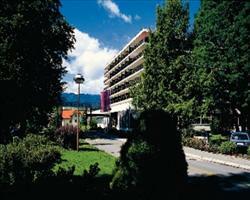 Hotel Ribno Bled Slovenia, Accommodation only to Accommodation only 22nd May. 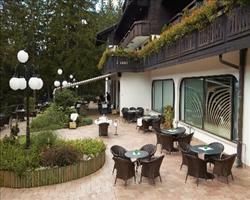 Hotel Park Bled Slovenia, Accommodation only to Accommodation only 22nd May. 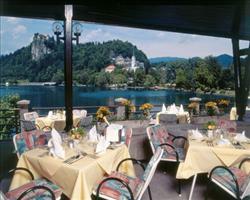 Hotel Golf Bled Slovenia, Accommodation only to Accommodation only 22nd May.